Home Life A Porsche or your kid's happiness? A Porsche or your kid's happiness? 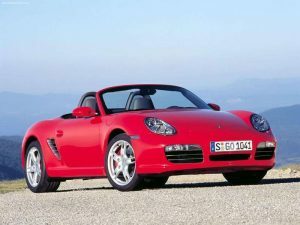 I recently saw an ad for a Porsche Boxter lease at $599 a month. My first thought was if I got rid of my daughter’s pony and didn’t buy my son a new truck, I’d be able to afford it with change for the insurance. But of course I chose the pony and truck. You people without kids have no idea of the sacrifices we make! Of course in the end they are worth it, but it still nice to dream … You might wonder what this has to do with drinking? Well of course you wouldn’t if you had been reading this blog for a while. But this is the sort of thing that goes through your mind when you’ve been drinking a few. I almost never post sober. That is why it is called the Drinking Man’s Diary.